Click here to visit the RL Track & Field Facebook page for news, results, pics, videos & more! Rib Lake Redmen clothing sale going on NOW! Find a track athlete for details! 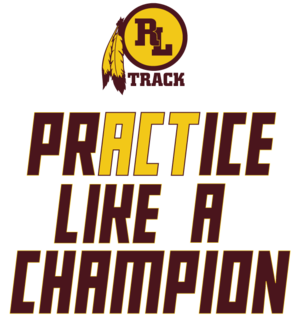 At the end of February, the RL track team will be selling Rib Lake spirit wear. See a Track athlete or Coach K if interested!